Around here, we like pineapple. However, we don't like the tingly itchiness pineapple comes with. It's caused by bromelain, a protease enzyme present in fresh pineapple. So how can you get rid of the tingly irritation? 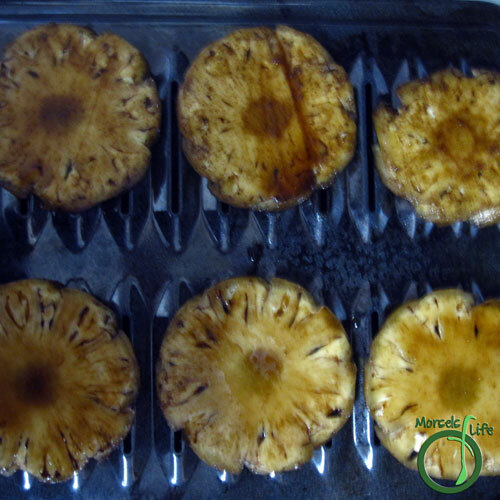 Heating pineapple works because it'll denature the protein, leaving behind all the tasty goodness, and none of the irritation. Roasting also concentrates flavor and makes fruits seem sweeter, so I went with it. 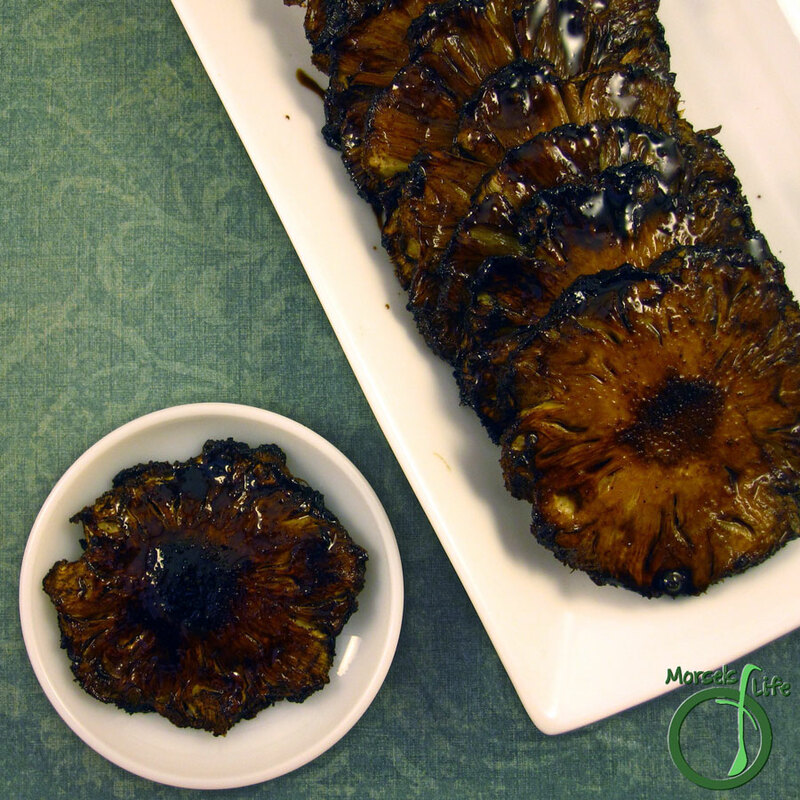 And while roasted pineapple's plenty tasty, I wanted to add another flavor - balsamic vinegar. I thought the tangy sweetness would perfectly complement the pineapple. And since we ate this balsamic roasted pineapple for dessert, I added just a bit of honey. The five spice adds a bit more tastiness without being obvious, and you can leave it out if you can't find any. It's often sold in Asian groceries. Another option is grilling this pineapple instead of roasting. A great idea, especially if you've already got the grill going. Do you feel the tingly itchiness when eating fresh pineapple? How do you deal with it? 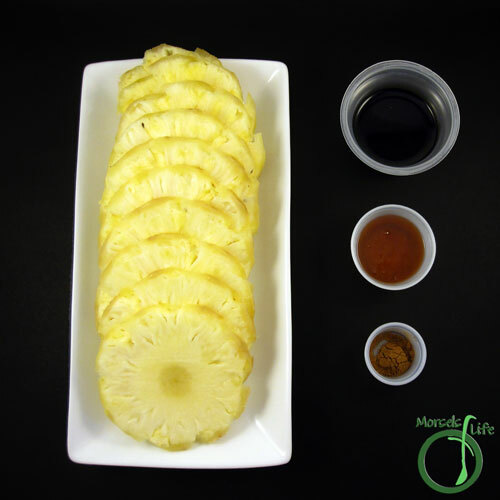 1/3 cup balsamic vinegar Use white balsamic vinegar for a more "pineapple" color. 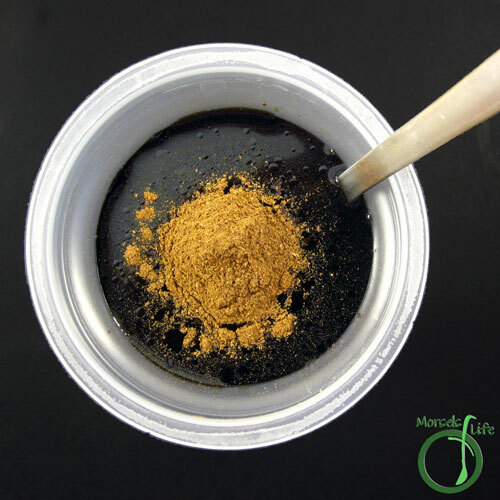 Combine vinegar, honey, and 5 spice powder. Coat pineapple in sauce, Then, bake at 400F until slightly caramelized. (Or throw it on the grill.) Brush sauce over pineapple a few more times as it's cooking. 2. Combine vinegar, honey, and 5 spice powder. 3. Coat pineapple in sauce, Then, bake at 400F until slightly caramelized. (Or throw it on the grill.) Brush sauce over pineapple a few more times as it's cooking. This looks absolutely amazing... the balsamic would provide a great contrast to the sweet pineapple. I'm going to have to try this sometime! Yum! Pineapple is my favorite. We definately don't eat it enough around here. The balsamic would pair perfectly with it. Thanks for sharing on the #wastelesswednesday blog hop. Mm yummy! 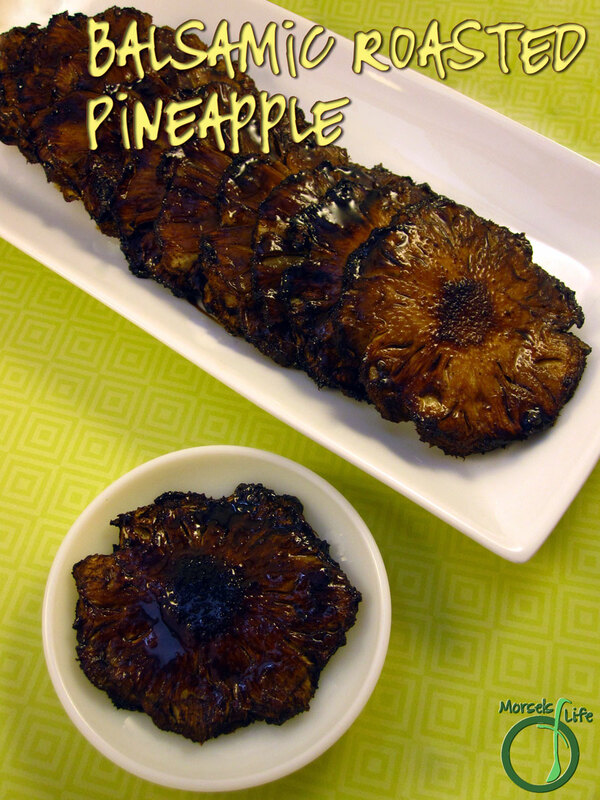 I've never tried balsamic with pineapple but grilling pineapple is fabulous. Thanks for linking up at #SustainableSundays!